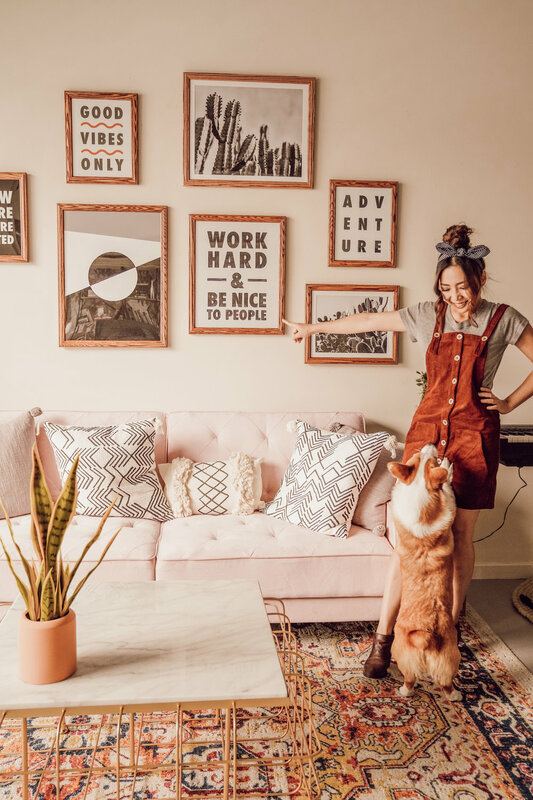 Girl & The Word | Christian Lifestyle & Decor Blog - Creating a "Positivity Wall" with BT Design Co. Creating a "Positivity Wall" with BT Design Co.
I’m always fascinated by the power of words because it has the ability to change lives. Have you ever seen those experiments where they conducted split tests between two plants, labeling one as something negative and the other as something positive? The one labeled positive almost always grows into a happy, healthy plant, whereas the other either rots quickly after sprouting or doesn’t sprout at all. Words have power — even written words. It either changes the way people perceive and treat the thing, or it changes the thing itself. That’s why I highly encourage all of us to build a Positivity Wall where we spend the most time. What is a Positivity Wall? 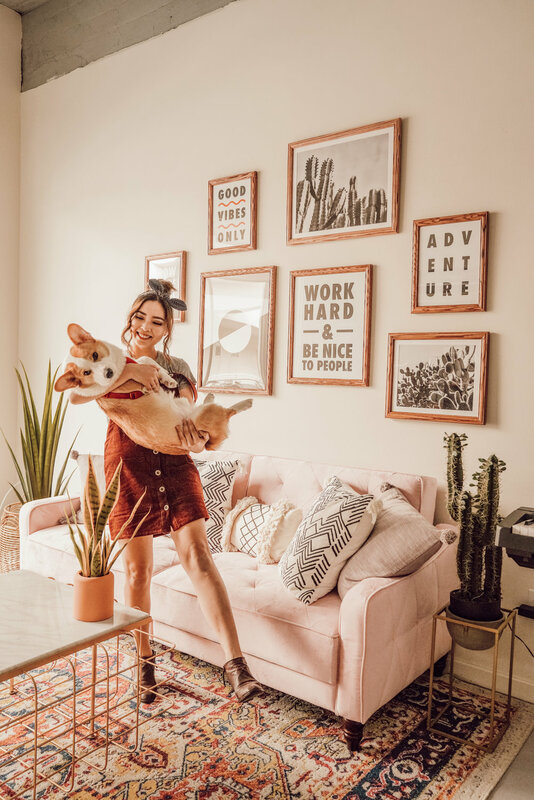 A Positivity Wall, or a wall of positive affirmations, is a decorated wall gallery that you can use to promote positivity and light in your home. I believe that what you expose yourself to each day matters, so it’s important that you surround yourself with words and pictures that will uplift you at home. Home is a place that should be comforting to us. 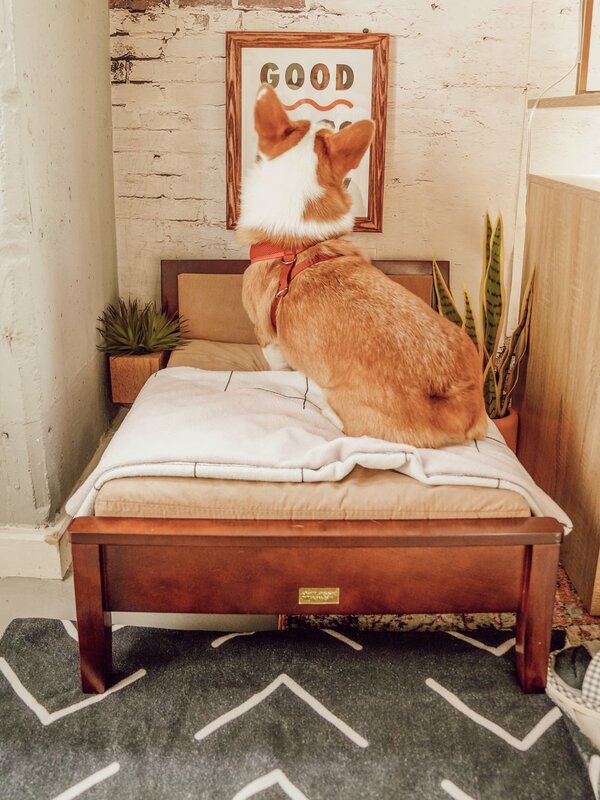 If you look around and don’t feel inspired by your home, start by creating a Positivity Wall. Fill it up with words of affirmation and photos that inspire you. I’ve decided to turn to one of my favorite Etsy shops for this project, BT Design Co. BT Design Co. literally has all the positive quotes that I love and write down often. I remember having the quote, “Grow where you are planted,” as my desktop wallpaper at my first real job out of college. It reminded me to live intentionally and be a good steward of my blessings, however small they are. Check out how I styled my Positivity Wall below! 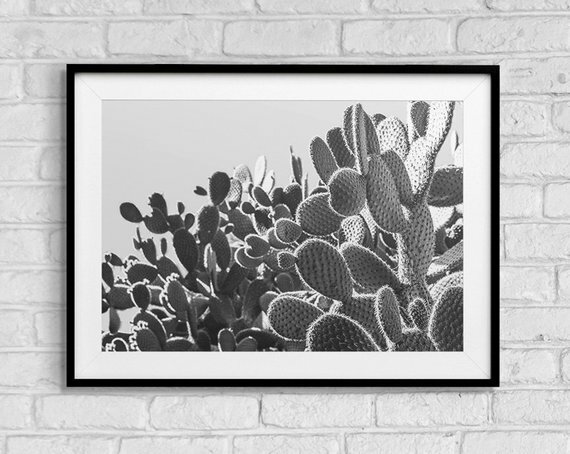 Looking at cacti and succulents brings me a sense of peace and calmness. I’ve always been intrigued by these tenacious plants, so when I came across them on BT Design Co’s Etsy page, I knew I had to have them! Soo pretty. 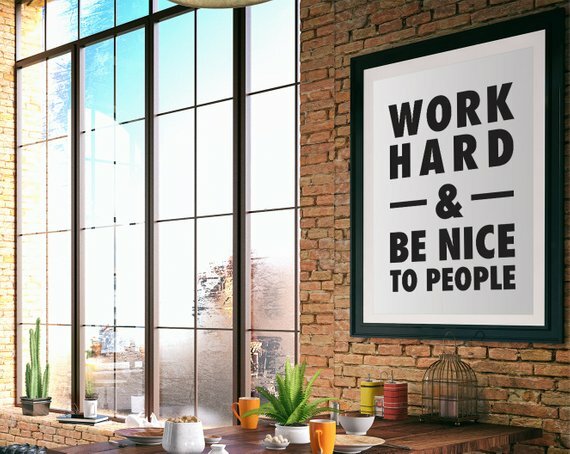 What’s better than a good ‘ol reminder to be hardworking and humble? 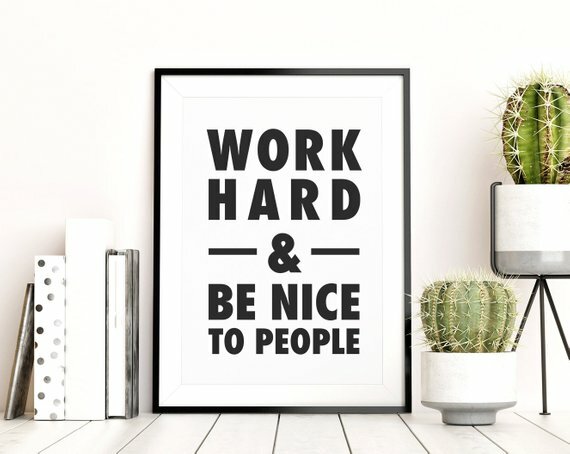 This Work Hard & Be Nice print was another must-have. If you’re into traveling like I am, why not declare it to the universe to promote more adventure in your life?! 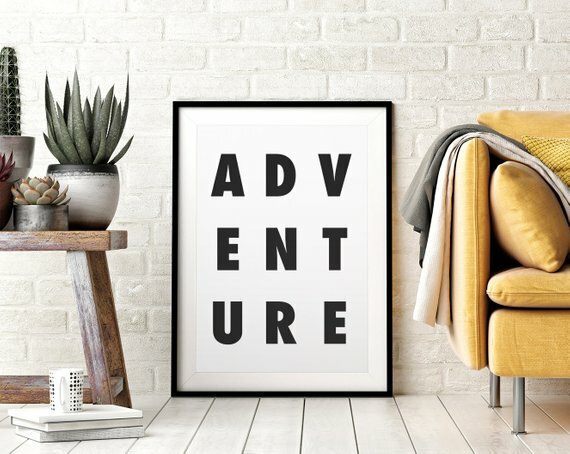 :) You can check out the adventure print here. By the way, I got these prints custom-framed by Art to Frame. They’re affordable and pretty darn badass. Highly recommend their framing and printing service if you ever need it! 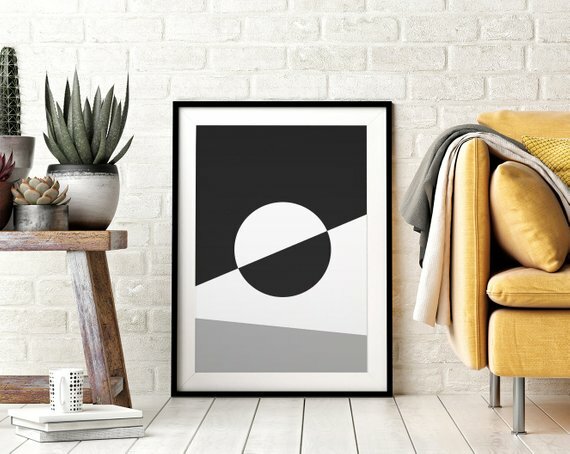 This modern art print makes me happy because it’s balanced but not quite symmetrical. The beautiful contrast of it all reminds me to stay balanced, especially amidst chaos. You can find this art print here. There’s no such thing as being too blatant or forward when it comes to declaring what you want on your Positivity Wall. I wish for my home to be a place of constant good vibes. Peaceful vibes. A sanctuary for my head. You can find the groovy print here. This is perhaps one of the most important pieces on my Positivity Wall because it reminds me that God will place me in challenging environments, but I need to push through and grow. Complaining about the situation won’t be productive. No matter the case, my job is to grow where I am planted. Click here for the awesome print! My Positivity Wall has definitely been doing its job because it makes me smile every time I see it! Once again, if you’re lacking positivity and inspiration in your life, I urge you to make your own Positivity Wall. These uplifting quotes won’t change your circumstances, but they will change your perspective over time.. and that is even more powerful! BT Design Co has a wealth of other positive quotes as well, so make sure to check them out! Each of their designs come in multiple sizes that fit your standard frame dimensions, but if you want a special size, you can request it free of charge! I’m excited to see what you guys put together! Btw, these designs all look great together so you don’t have to spend too much time thinking about how to arrange them. Just order a handful of your favorite designs in different sizes and they will all come together. I promise. Sign up to receive exciting updates and exclusive content!